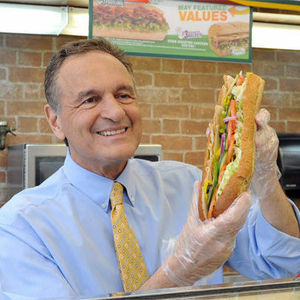 NEW YORK (AP) - Subway co-founder Fred DeLuca died Monday evening after being diagnosed with leukemia two years ago, the company said Tuesday. He was 67. "God doesn't give things to anyone who will take it for granted. That is why he gave Mr. Deluca a great food company, because he knew Mr. Deluca would do the right thing with it. ..."